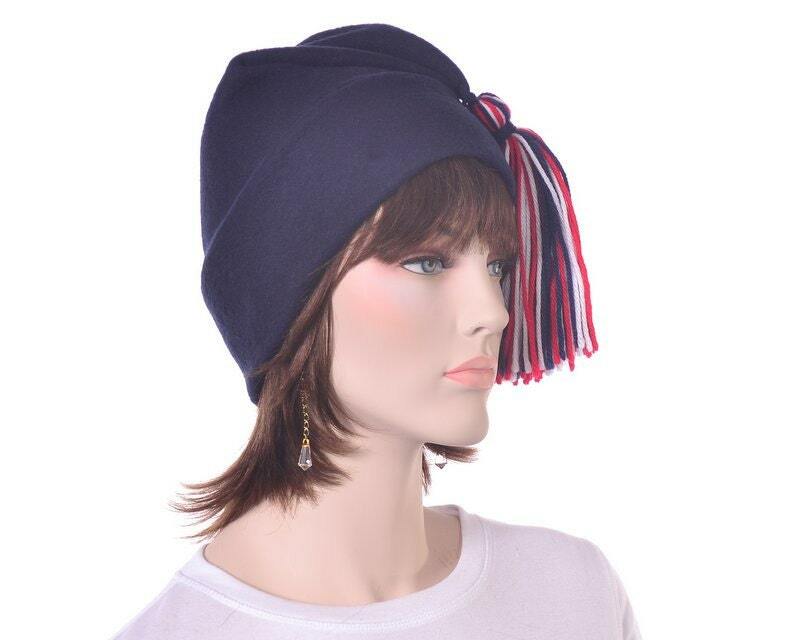 Liberty cap in navy blue with tassel. This is a phrygian caps, an ancient symbol of liberty and freedom. 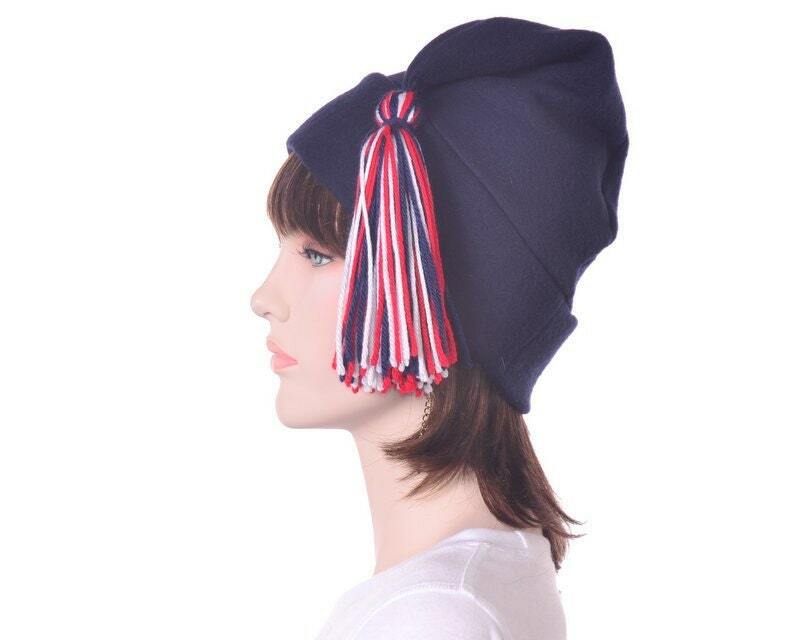 Popular as a revolutionary hat from the French to the American Revoloution. 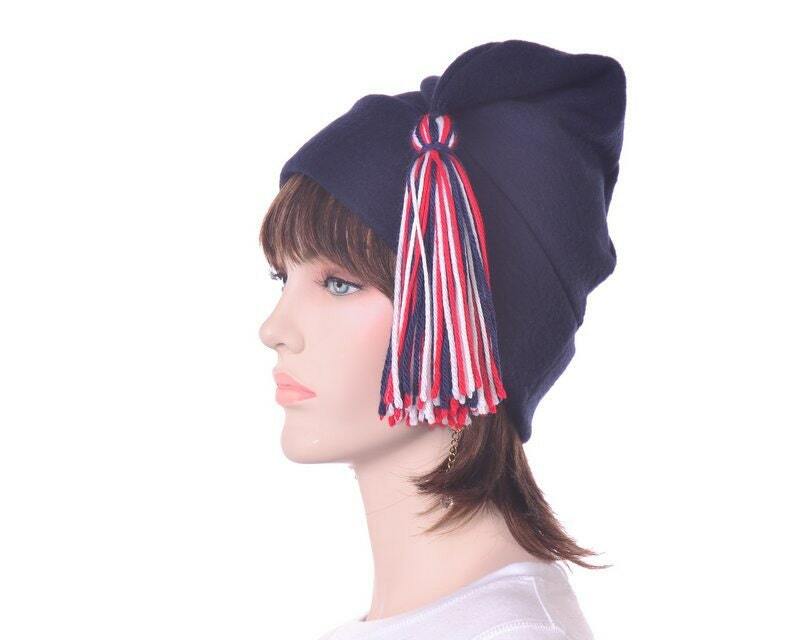 Blended red white and blue hand tied tassel of hat's point. Hat is cut so point falls forward.